When you’re halfway through the month and you’ve already spent all of the money in your food budget, you need some cheap meals to get you through and fill your family’s bellies! 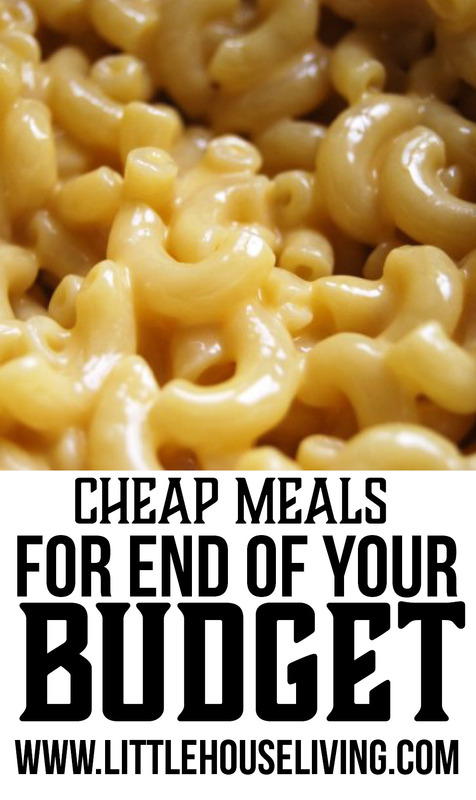 Here are 14 cheap meals for families to make when you’re at the end of your budget. We’ve all been there: You get to the middle of the month (or maybe not even that far!) and your grocery budget is gone. You frantically look through grocery receipts from the month and wonder how it went so fast. Because surely your cash must have just fallen out of your pocket the last time you were at the store! Sadly, it’s true; Your budget for the month has been used up and there isn’t anything else left to spare. But, of course, you still have to feed your family! It’s times like these that I’m thankful that we know to keep a hearty pantry stockpile on hand at all times because you never know when you might need to use it. — Read more about stockpiling here and here. When that time hits, you’ll want to have this post on hand for cheap meal ideas. The cheap meals that follow are frugal, use many pantry staples you probably already have on hand, and could save you from having to spend more on groceries anytime you’re stretched too thin. * Please make sure to scan the comments section for more ideas or add your own cheap and frugal meal suggestions! I love making a whole cooked chicken because you can use every part…all of the meat and then use the carcass to make broth for soups or other things (even things like Homemade Soy Sauce!). Or use the leftover meat to make one of these 7 Simple Chicken Dinner Recipes for $7 Or Less. This veggie soup is one of my personal favorites (although my husband isn’t a fan of soup so I don’t make it as often as I’d like). Use the carcass from your whole chicken to make broth and toss in any veggies that you have on hand. Add in some herbs and spices and you’ve got a soup! If you have leftover chicken or any kind of meat, toss it in too. Otherwise just stick to the veggies. You’ll still get protein from the bone broth so meat isn’t really necessary. 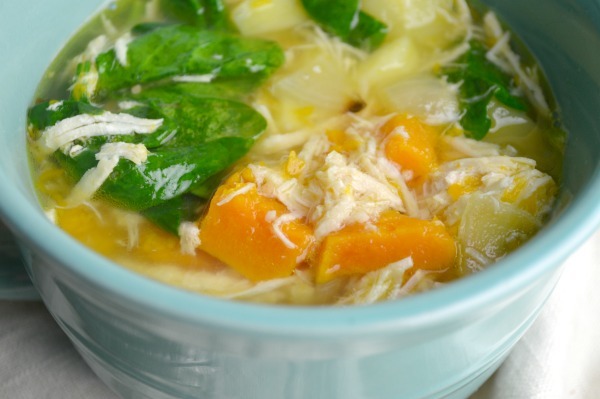 If you have leftover chicken, this Roasted Veggie Soup is one of my favorites. 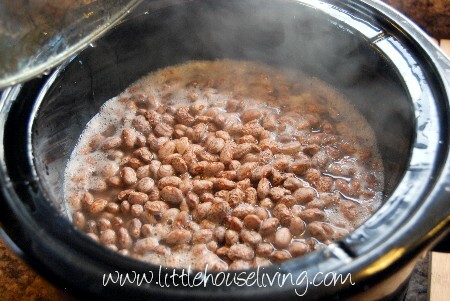 If you’d rather make something with beans (another frugal pantry staple!) this Bean with Bacon Soup is always a hearty, satisfying hit. 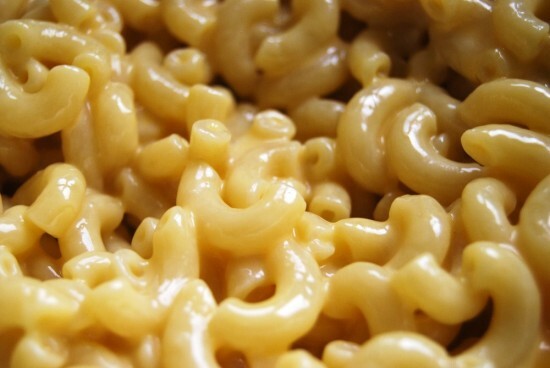 For a kid-friendly frugal meal, Mac & Cheese is always a crowd pleaser! You can make your own with the recipe above using just 3 ingredients or you can make something with a little more richness and depth like this Baked Mac and Cheese dish. 5. Anything made with Home Canned Beans! I love my home canned beans! They take dried beans and make them easy to prepare and serve. For a full list of meals using canned beans, check out this post: Recipes Using Canned Beans. The only thing more frugal and filling than homemade tacos is making them with homemade tortillas! Gluten free? 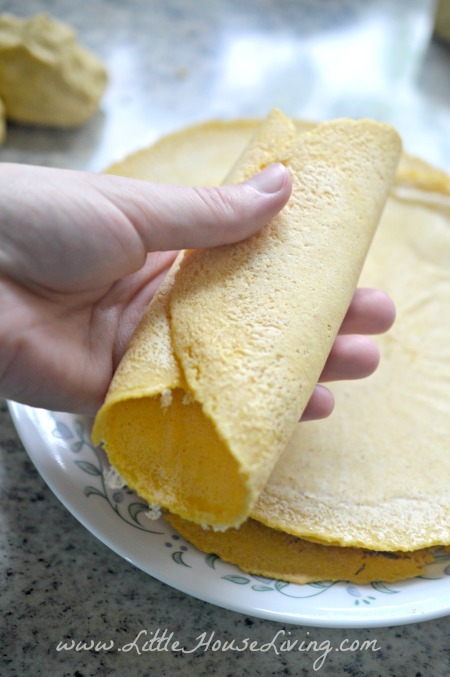 You can still enjoy a frugal taco supper by making Homemade Corn Tortillas or Homemade Gluten-Free Tortillas. 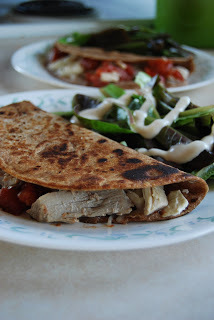 You could also use any of these homemade tortilla options to make various kinds of wraps based on what other fillings you have in your fridge if you don’t have typical taco fillings. Or use them to make enchiladas with homemade Enchilada Sauce. If you’re making traditional tacos, don’t forget to make some Homemade Taco Seasoning! You can make Homemade Taco Sauce also. 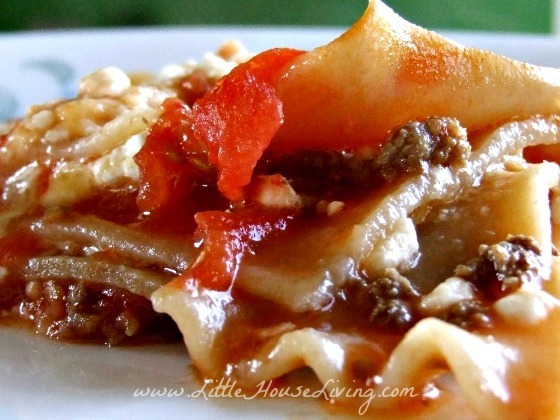 This is such an inexpensive lasagna to make since you only use what you have on hand! Don’t have the pasta? You can make it with just veggies instead! Layer whatever veggies you have on hand or slice rounds or zucchini and use in place of noodles. Looking for a frugal spin on a traditional lasagna? Learn How to Make Ricotta Cheese from milk and vinegar and use in place of store-bought ricotta in your lasagna. This was a frugal staple that my mom always used to make when I was growing up. It’s so easy to prepare and you can use any pasta that you have on hand! This recipe works great with canned, fresh, or home-canned tomatoes depending on what you have on hand. Looking for something a little different? 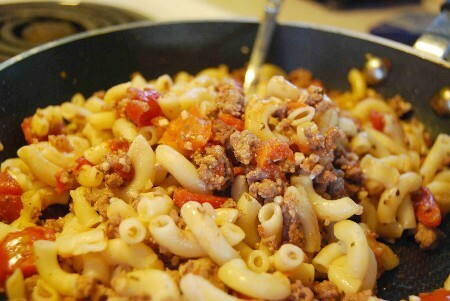 Try this Cheesy Goulash Recipe instead. 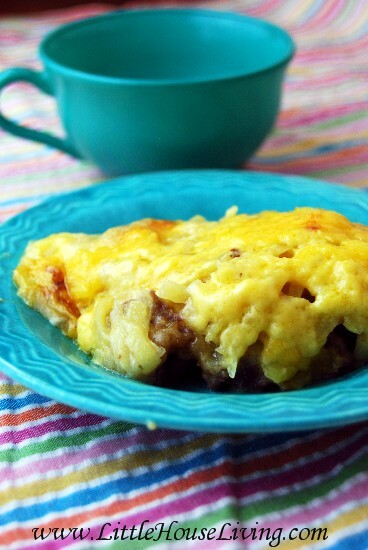 Skip the expensive store-bought hashbrowns and make your own for this frugal casserole dish! This one also calls for homemade sausage so you can save there as well. This casserole is another hearty meal that takes a few simple ingredients and makes them stretch to easily fill everyone’s bellies and maybe even have some leftovers! 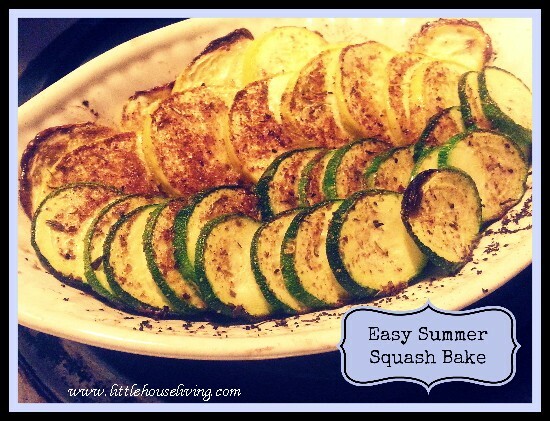 If it’s summertime and you have a lot of veggies in your garden, this squash bake is a good meal to make. 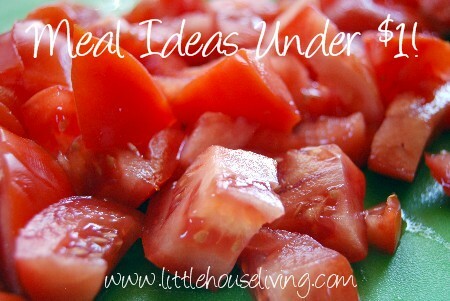 You can add in sliced potatoes and tomatoes and onions too if you have them on hand. 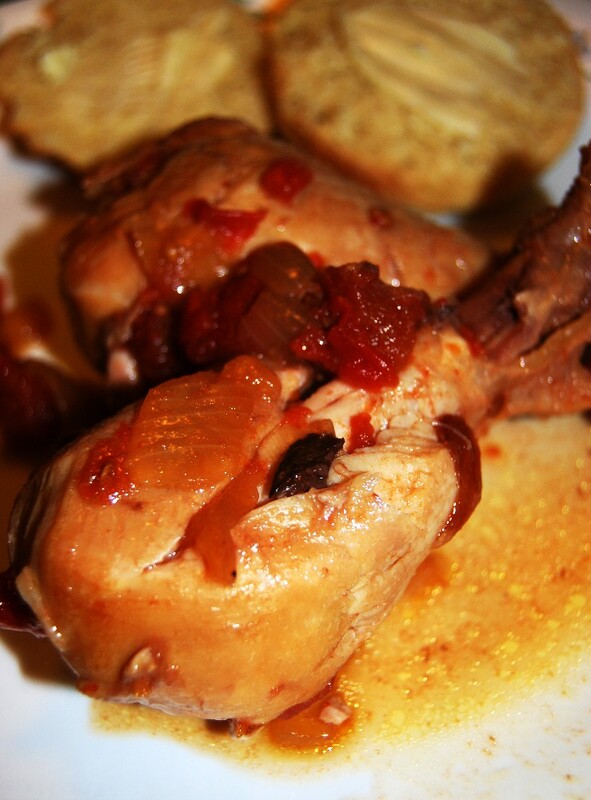 Drumsticks are a good source of frugal meat, especially if you have someone in your household that doesn’t consider it a meal unless there’s meat on the plate! In addition to the recipe above you could also fry them in garlic salt or I’ve also fried them with a few of my Homemade Sun-Dried Tomatoes for a flavorful main dish. I already mentioned using whole, home-canned beans to build a frugal meal and make your food (and money) stretch. Just as frugal (and tasty!) are homemade refried beans! 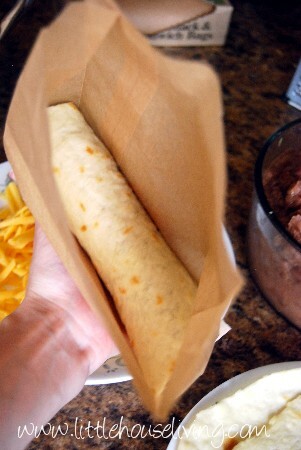 Use them in homemade tortillas to make bean burritos or simply top with some cheese and veggies or a little ground beef if you’ve got some to make a frugal but filling meal in a bowl. This is another easy meal to put together and I love this one because you can make it in advance and freeze them, which makes them great to grab and go on busy days. Or, instead of breakfast burritos, make these Freezer Breakfast Sandwiches with homemade Buttermilk Biscuits instead! 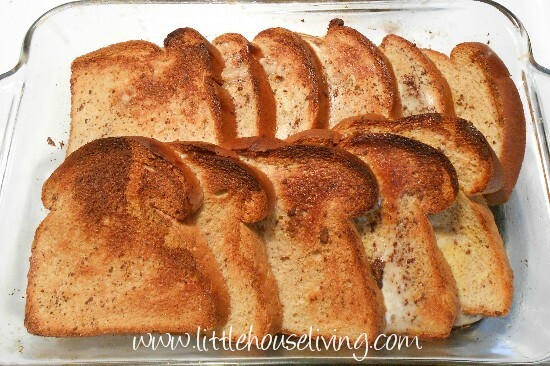 Use up your old stale bread (or make your own Homemade Bread) to make this make-ahead French toast casserole. 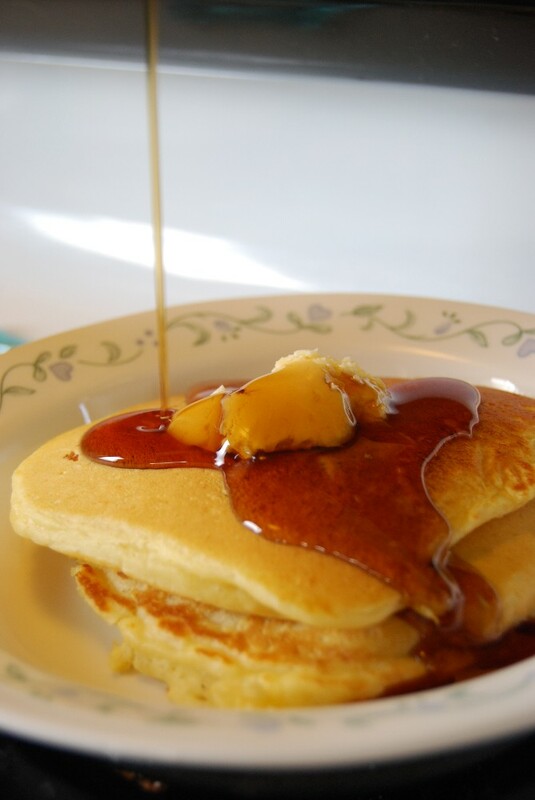 Serve alone with some fruit, syrup or jam on top or serve with homemade sausage patties. There are so many ways to stretch your meals (and your food budget!) 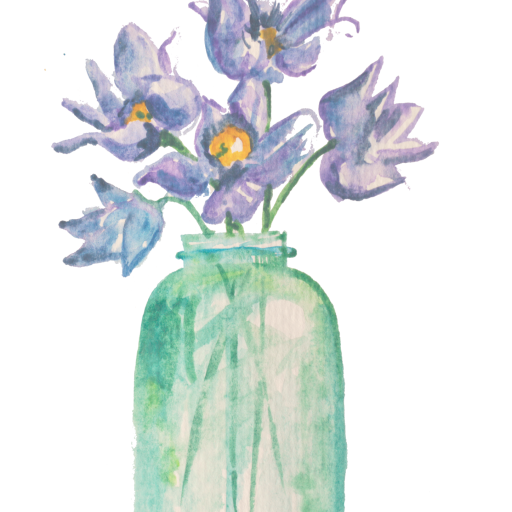 Some require a little more creativity, but most of them are simple and straight-forward and super flexible, meaning you can make do with whatever you already have on hand. 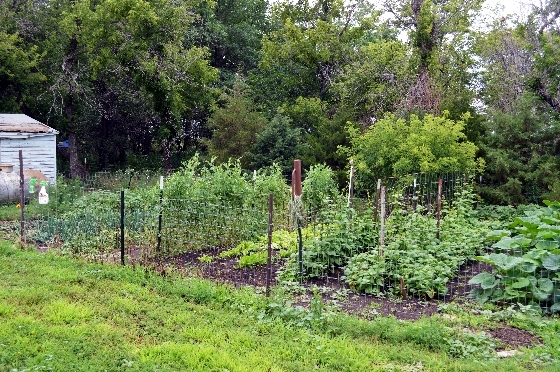 For example, in the summer when the garden is in full swing, there are tons of meals you can make using garden produce. Of course, during those lean times, it’s also important to skip expensive store-bought products like condiments and other pre-packaged items. 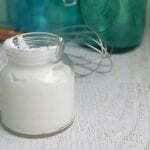 We have a big list of Make Your Own recipes you can check out for cheap alternatives! Of course, what better way to find cheap meal ideas than to ask our community! A while ago, I asked on our Facebook page for you to share your favorite cheap meals to eat when your budget is stretched. Here are some frugal meal ideas from you, our readers! 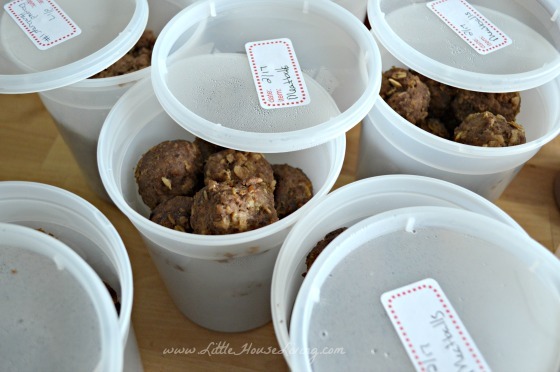 Mini Ground Turkey Meatloaves, made in muffin tins so extras can be frozen for later. – Patricia S.
Pinto Beans and Rice. – Robin C.
Beans and Cornbread. – Julie S.
Chili (to be used for taco meat, chili dogs, etc). – Karen B.
Cabbage Casserole (Cabbage cut into small bite size pieces add cooked hamburger (or not), salt, and pepper to taste, then add tomato soup. Cook at 350 for 20-30 minutes). – Betty W.
Navy Beans, fried potatoes, and cornbread. – Mary Beth W.
Biscuits and Gravy or Toast and Gravy. – Mary J. Pasta with steamed veggies and butter. – Barbara P.
Grits and Cheese with eggs on top. – Cindy A.
Grilled Cheese and Tomato Soup. – BethAnn H.
Lentil Soup. – Kate J. Pork Noodle Soup (Uses one pork chop (plus the bone), a handful of vegetables, soy sauce, a handful of noodles, salt and pepper to taste.) – Kathleen M.
Tuna Melts – Faith F.
Scrambled Egg Skillet (With almost anything tossed in: left over veggies, meat, whatever little bit of cheese you might have left, potatoes. Add salsa or hot sauce to jazz it up.) – Tammy M.
Poorman’s Dinner (A package of hot dogs pan fried up with potatoes and onions and a can of green beans …served with baked beans if you have them.) – Catherine R.
Sweet potatoes and steamed seasoned veggies – Kristine M.
Gumbo with red beans and rice. 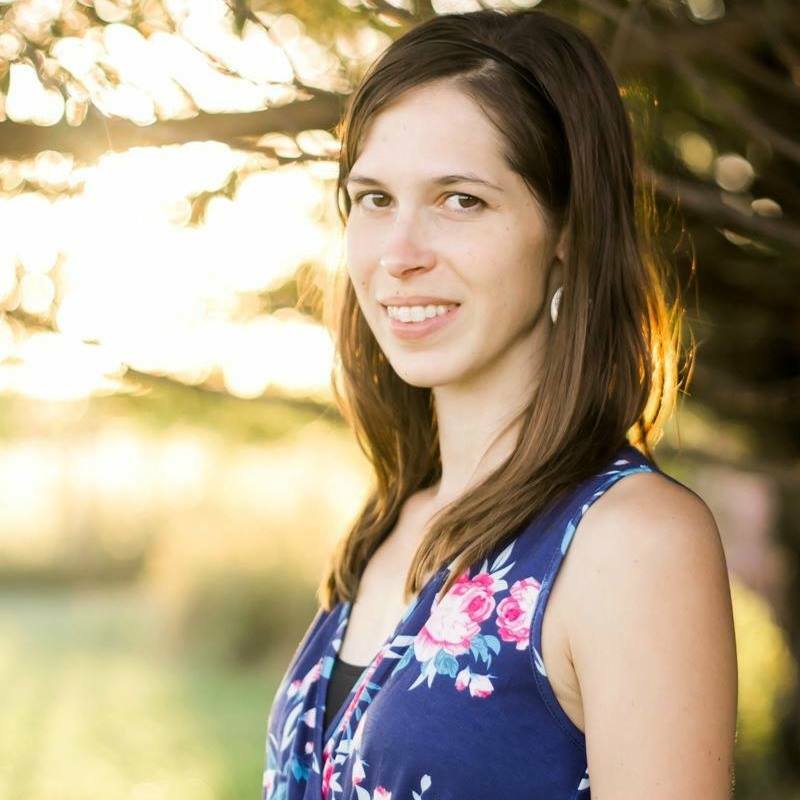 – Annette W.
What are some of your favorite meals to make for yourself or your family when the budget is stretched thin? Share them with us and add to the ever-growing list! 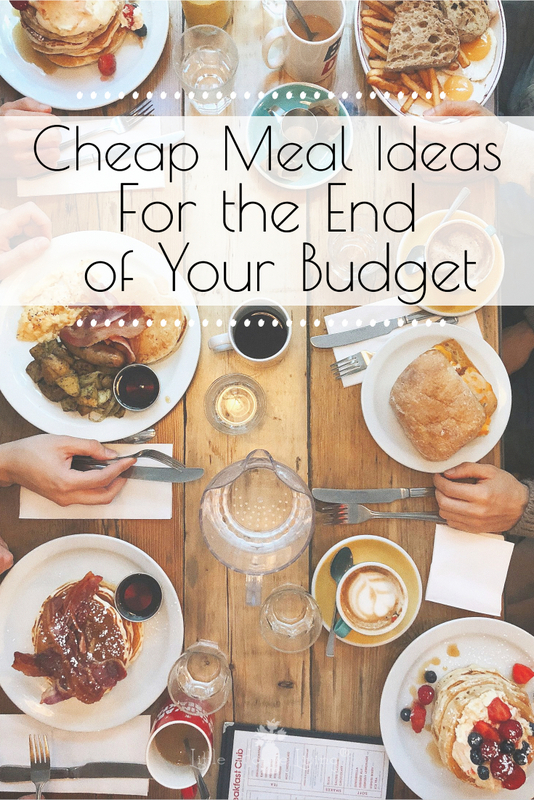 This blog post of 14 Cheap Meals to Make When You’re At The End Of Your Budget was originally published on Little House Living in March 2015. It has been updated as of January 2019. Hamburger Gravy. Simple dish that stretches and my family loves it. Ground hamburger cook completely, add lots of water and any spices you have on hand like onions, garlic, sage. In a pot cook your veggies, any thing you have available, once cooked add to your meat. Thicken with starch or flour to make your gravy. Pour this over cooked rice or mashed potatoes or what my mom did when I was a kid was over a piece of bread. When I seem to have more month than money,I usually try and think of things that use potatoes,eggs,milk and bread. I have these on hand all the time and I can use any bits and pieces I may have leftover with them. I do not always use all of those things..but they give a strong base to work with. 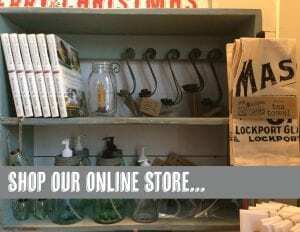 It just takes creative thinking..and possibly a few good cookbooks! Completely agree! I can whip up some eggs and fry some potatoes and call it breakfast for dinner… Practically free when you have chickens. We chop up some onion and garlic and cook it up with some hamburger. Once it’s cooked up the way we like we add our noodles and milk/water (whatever we have on hand or can afford), season it to our liking (and make sure to add some cornstarch or arrowroot powder!) and let it simmer until the noodles are done. Then just turn off the heat, mix in a little grated cheese and VOILA! Just as tasty as the box and INFINITELY healthier. The cost difference is negligible too, since you aren’t buying the box and most of the other ingredients are staples and could just be lying around. 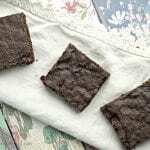 I don’t know if this has been shared already, but this Emergency Menu from Hillbilly Housewife might be helpful for those on a very tight budget. How old is that list? Those foods are a lot more expensive than that where I live. Tuna Stuff:Can of drained tuna, can of drained peas, can of cream of chicken soup, minced onion, some milk or water. Mix all and heat through. Serve over rice. I want to know what is the dish in the first picture. That looks yummy. Pizza pizza pizza! Anything can be a topping, from roasted peppers to left over rotisserie chicken or a random meatball. No sauce no problem we like to use our canned tomatoes drained cut up and sprinkled on top then use the juice for something else. My sister and I will bring our leftovers together on a Friday and the results never disappoint! LV your site. What i would like to know is. I’m a 66 yr. old window (1-yr.) just me 1-dog,3-cats. The only income is from my SS.How would i go about doing stockpiling. I’m on a very low budget after all the house hold bills are paid. So i have to make it go for 4-weeks. I use to do this when my husband was a live,but now i don’t go thru a lot of things as fast. I do try to pile up on non-food items cause they will last a LONG time. But when it come to food I’m not sure how to go about it. Right now I’m not into cooking meals just for one. I’m in the county so i have to drive anywhere from 15 – 40 miles to the city to do my shopping. I do a lot of shopping @ Aldis (learn that from my daughter). Any help will help. Thank You. Having been single most of my adult life I understand the struggles of cooking for one and doing that on an almost none existent food budget. I always had things like pasta (various kinds and I kept them in sealed glass containers to keep bugs out),canned beans and tomato sauce on hand. I like to bake, so I always have the basics for baking. I would cook up as small of portions I could cook. Then freeze half for another meal. Like spaghetti sauce. I would freeze things like flour, coffee beans and popcorn kernels. I could buy in bulk but still keep them fresh. 1. My supermarket and their Warehouse-style counterpart store both have “Discount carts”, that is, the supermarket takes out foods that are not as fresh as the new arrivals, and so they package them up in bags for the discount cart and discount them to 99cents a bag. That is the way I get different vegetables such as bell peppers, tomatoes, and spicy peppers to roast in the oven to make salsa. I can buy mushrooms for cheap and slice them and store them in bags in the freezer, along with sliced zucchini and carrots. I can make applesauce with the apples from the discount cart and freeze or jar that, too. I can take the best of the strawberries and cut out the bad spots and put those in a bag and freeze them. I have enough bags of these to make several soups and strawberry fruit smoothies. 2. The discount cart is where they put packages that dropped or got damaged in shipment. Sometimes, say, a box or two of cake mix falls off the shelf and the cardboard box breaks open, but the contents in the sealed bag are undamaged. SO they tape up the cardboard package but discount it to about 50%-70% off their price. This means I can get a bag of rice that is regularly $7 for a 5-lb bag discounted at $1.50. After I finished it, I cleaned out and dried out a very big 80-oz jug of juice and now I store my rice in it (to keep the bugs out). I refill with those bags of rice from the discount cart and rarely run out. Rice is a staple for so many ethnic foods. I can always make fried rice with stir-fried onions, chopped carrots and celery with a dash of soy sauce and one scrambled egg for very cheap any day of the month. 3. I have several ethnic cookbooks to help me cook all those vegetables I get from the discount cart. Be on the lookout for bags of dried lentils as they are cheaper than canned, they mix with rice and spices found at the dollar store. You can buy good spices in those little cellophane bags found in the ethnic food aisles at your store. get a good cookbook and learn how to cook with spices – they help make small meals taste good. I cook a lot with rice and potatoes by simply adding meat and spices, but I am equally fine with vegetarian meals. I have food allergies, so I don’t eat every meal with bread. Be on the lookout for things in the discount cart such as canned tomatoes, noodles, canned beans of all kinds, dried beans, and canned fruits. You can do quite a lot with fresh vegetables and rice with a good ethnic cookbook and a good vegetarian cookbook. 3. I get things like spices, jars of sauces, and condiments from the dollar store because when it comes to brand-names the generic brand of ketchup, mustard, and soy sauce, vinegars, and worchestershire sauce are fine with me. I also get off-brand resealable bags, soaps, and oddly, off-brand laundry soap from the dollar store. 4. If I splurge a little, I go to stores like “Big Lots” to get better toilet paper, real brand-name shampoos, and really good olive oil. 5. Ramen noodles are really just an ingredient or a base for other meals. I “doctor” ramen noodles by cooking the water for them with leftover salsa from eating out and adding shredded cheese for a salsa noodle. I can take leftover takeout food such as beans and rice from the Mexican restaurant, and reheat it in a fry pan, add scramble an egg with it, and with the leftover salsa I have Huevos rancheros for breakfast. With all these things, I can actually do quite a lot with a small budget. Great ideas. Our food prices are a bit higher in Canada, but I will go into the city and shop in ethnic stores to get cheaper staples and naturally gluten free ingredients. Ethnic recipes from poorer countries tend to be economical. Soups are always my food budget stretcher. I can cook up a whole chicken one night. Then make broth from the carcass and use the leftovers picked off the bones for soup. Make some homemade bread (I use the dough setting on my bread machine then bake in the oven) and your family will think they have a gourmet meal. Another favorite is sausage bean soup. Sausage, couple cans of favorite beans, stewed or diced tomatoes and either veg or beef broth. Add whatever seasonings you like and you have a quick, cheap soup. Love the hash brown casserole idea. Thank you for these. Hubby and I are retired military and are pretty prepared. I’m always looking for good homemade recipes. When my food budget gets tight, especially in the winter months, I rely on foods my Italian Grandmother’s cooked up during the Great Depression. I make simple marinara sauce from any canned tomatoes I have from my garden or store bought that are on sale. Some nights its just plain, other nights I add peas, other nights mushrooms or beans. A bit of sauteed garlic/and or onion adds great flavor with any italian seasonings I have on hand. Pasta is cheap and 1lb makes enough for dinner and a great lunch. Plus adding other sauteed veggies makes it healthy too! Stir fried rice with what every veggies you have on hand left over meat or scrambled eggs. This also makes a good breakfast. Rice (mainly white) is a big staple at our house. If you let it soak in the cooking water, you only need 1 and 1/3 times as much water as rice — not 2 times as much. I soak for at least 30 minutes, but you can even do it overnight (not more than 8 hrs), though if you go for overnight then you might want to refrigerate if it’s hot out. Boil, then simmer 15 min, then let sit (still covered) 5 or 10 minutes, fluff, and serve. Also, I make red lentils a lot, since they’re cheap and fast. 1 cup dry lentils is enough for multiple meals for 3 adults. Rinse in ~5 changes of water. (I hold the sieve over a big bowl and swish it around while the water runs, then dump the water and repeat.) Then I leave them over the bowl to drain while I heat up some oil and peel some garlic. I fry 1/2 a tsp of cumin for under a minute, then add either a chopped medium tomato or some canned tomato. After the tomato disintegrates some (5 min?) I add the lentils, water, and garlic (no need to chop the garlic). Simmer until done, about 20 min, add salt, take out the garlic. Can you share that post? Chili Mac- one box of swirly noodles and 2 cans of amour chili with beans. Cook noodles. Drain. Add chili. Cost less than 5 bucks! Feeds approx 4-5. Quesadillas are my favorite in-a-pinch meal. I just fill the tortillas with whatever I have on hand: cheese (of course), rice, beans, spinach, diced tomatoes… the possibilities are endless. We ate these for a week! My Burmese friend makes a very nourishing and filling soup from by using a large pot with 2 to 3 quarts of both or water. Into that add 1 cup of rice. Let this come to a boil and then simmer until the rice is completely dissolved and it looks creamy. You can add bits of leftover meat or fish, leftover veggies or fresh diced or grated veggies. Season with salt and pepper and whatever else your family likes. This makes 1 cup of rice and a few leftovers make a really good meal. It’s also comforting and nourishing to eat when you are ill. The rice part is called congee and I make it all the time in my crockpot. Just as you said, you can add so many things to it. I cook my rice in chicken broth to soak up that flavor and then add so many different things: leftover meat/fish/veggies, homemade kimchi or muchae namul, cooked egg, stir the congee into soup to make it more filling, pour milk and sugar on top, roll into a tortilla with cheese and other fillings…the list just goes on and on. Great post and comments. New ideas are always a great resource when money is tight. My meal ideas for times like this are: making a batch of no knead dough which uses only flour, water, salt and yeast. I make English muffins with it, pizza, and bread. I also make potato soup using a few potatoes, mashing half, adding butter, milk, thickening with cold water + flour. And cheese if i have a little bit. I also make an almost free soup using bits of all leftover veges and beef that I have saved from cooking from weeks prior. Usually I add a can of tomato sauce to this frozen leftover assortment and it is great. Making a loaf of bread is super frugal for breakfasts just served with jam or as toast. My mom used to make rice and tomatoes and fried potatoes. She used a can of tomatoes, with salt, pepper, bacon grease and a sprinkle of sugar which we ate over white rice. For a treat we would have biscuits with molasses or hot chocolate pudding. I think homemade dumplings or noodles in some sort of meat broth, thickened is also super cheap and filling. Some of my favorite meals are those my mom made at the end of her budget! Simple but good stuff. I keep the large cans of chunky soups in flavors we like, around $1.00-1.50 a can, and stretch them to serve our family of four by adding extra chicken or ground beef, canned tomatoes, frozen corn, or whatever I have on hand that compliments that particular flavor of soup. Fried egg sandwiches are also one of my favorite cheap meals. I’m glad someone mentioned hamburger gravy served over potatoes, we had that a lot when I was a kid because we butchered beef and had a lot in the freezer, I forgot about it even though it was one of my favorite comfort foods! My kids like this one…1 bowl of noodles, the kind that’s about .79 cents and comes with a sauce package…a small veg tab….I like cauliflower, corn, carrot, broccoli blend…add some cooked meat , chicken or pork…cut up in small to med cubes..aprox 1 chick leg or thigh…is good enough….cook a few minutes and serve. Because you’re using veg’s…this actually fills a large pan…and a few stomachs with very little money.. The burger dog….I’m pretty sure I invented this one…a burger dog is a weiner wrapped up in hamburger meat…and of course you can substitute with ground turkey or that seasoned mystery meat next to the ground beef..fry it and serve on a stick like a corndog or in a bun likes hot dog…..also if you have a few bucks to spare on a treat. I like hot Cheetos with cone dip. The hot chocolate creates a nice hard shell around the hot Cheetos…. Trust me on this one…the combination is delicious. Diy sushi bowls. I cook rice with a can of salmon mixed in. Serve with cucumber sticks and seaweed. My kids make their own mini sushi rolls at the table. I always made mac n cheese with wieners that I sliced up and browned in a little margarine. Mix these together for a pretty darn good, and cheap meal. When I stock up on sales, say ground beef. I fry it all then portion it out for different meals such as taco salad, stew etc. I label what they are for and freeze. I allot them for times the budget is tight. That way I have easy fix meal ideas already half done and my budget gets a break! Save bacon grease. After cooking bacon, let the grease cool slightly, then strain into a pint jar. I use a small sieve, but you can also push a coffee filter an inch or so into the jar, then screw on the lid and strain the grease through that. That grease makes veggies taste wonderful, and if you have more month than money, you can use the grease to make gravy. Even without any meat, gravy served over hot biscuits (or rice, or potatoes) is very filling! What a wonderful list. There are lots of times when I have to figure out something for dinner on a whim. Too many trips to town eats up too much gas money. I learned living so far out, you plan ahead better. It’s not a simple task to just run over to the corner store. I typically have dried beef in the freezer and we just have dried beef gravy over toast a lot of times. (Sh*t on a Shingle to my family. LOL) It’s cheap and easy. And we actually like it. Thank you so much for sharing these ideas. I will have to remember these next time we get in a pinch.